Are you wondering how job aptitude test past questions can help secure employment in Nigeria? According to the National Bureau of Statistics, the rate of unemployment in Nigeria rose from 14.2 per cent to 18.8 per cent in 2017. Back in 2016, it was 13.9 percent. In addition to this, the labour force experienced a significant increase from 83.9 million to 85.1 million between the second and third quarter of 2017. It’s safe to say that this figure is increasing steadily. As such, any individual seeking employment needs as much edge as possible. This is what job aptitude test past questions offers. Thanks to the modern-day technology, you don’t have to leave the comfort of your home to participate in a job aptitude test. So, why exactly do you need the job aptitude tests past questions, hold on, we’re getting there. These tests are designed to assess your ability to think, and performance is usually evaluated based on a comparison with a control group. A diligent candidate would use this moment to showcase his or skill and make a good impression. It’s your opportunity to make it to the interview stage. The tests come in a different format. It usually includes numerical, abstract, verbal, spatial, personality, mechanical tests, etc. You should know that there is a strict time limit, as such speed is of utmost importance. Do I still need to tell you why job aptitude test past questions are important? Assess to the past questions offers a unique insight into the nature of the aptitude test. You’ll know the exact test format of the company you’re applying for. For example, Bank job test past questions such as Access Bank’s give applicants a full understanding of what to expect. There is just one final question to ask, how can you get the best out of your job aptitude test past questions? The first thing you should do when studying Job Aptitude Test Past Questions is to figure out the test format. You must figure out the how the questions are divided into different sections and the number of questions per section. 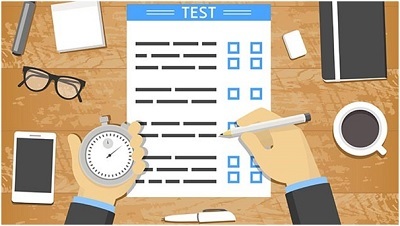 Not only does this step offer a deep insight into the nature of the aptitude tests, it will also help save time and increase accuracy when writing the test. Now that you are familiar with the format of the aptitude test, the next step is to strategize. You must figure out a way to answer the questions with the aim of improving your performance. Find out what part of the tests are your strength and the parts that are your weakness. This will enable you to know what part of the sections to attempts first. Furthermore, you’ll be able to allow more time to strength, consequently scoring a higher mark. Conversely, you’ll save a lot of time when dealing with your weak section. This is the most important factor that’ll determine if you’ll pass the job aptitude test. Not only do you have to practice the job aptitude test past questions regularly, you also have to do a constant revision to ensure you’re accustomed to the test process and know the probable questions to expect. In addition to this, you’ll know how much time to allocate to each question. 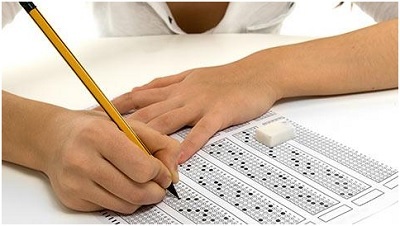 Furthermore, constant practice helps in the analysis of your test answering capabilities. It’ll help you know your strength and weaknesses, which you’ll improve upon. Getting familiar with the test means requires putting yourself in the condition. So, find out if the test is conducted online on a computer, or done offline in a handwritten format. If it's an online test, simply download the job recruitment aptitude test past questions and practice the questions on your computer, imposing the same time limit and other exam conditions. However, for a written exam, consider printing out the aptitude test past questions before practising. Read the instructions carefully and ask questions when in doubt. Securing employment in Nigeria begins with the job aptitude test. That is the major obstacle between you and the interview stage. Thanks to the job aptitude test past questions, this part doesn't have to be so challenging. You simply have to prepare adequately. 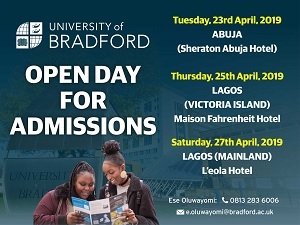 You can check out Eduregard for more information and guides about taking various exams and aptitude tests in Nigeria.